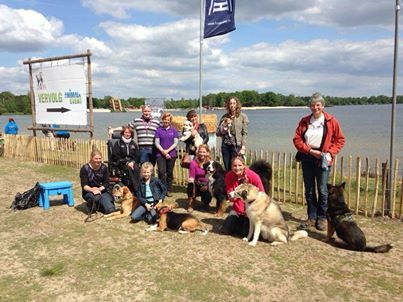 For the 5th time was organised this wonderful Dog-Event on the Erkemeder-beach in Zeewolde. More then 100 stalls with information and nice articles. 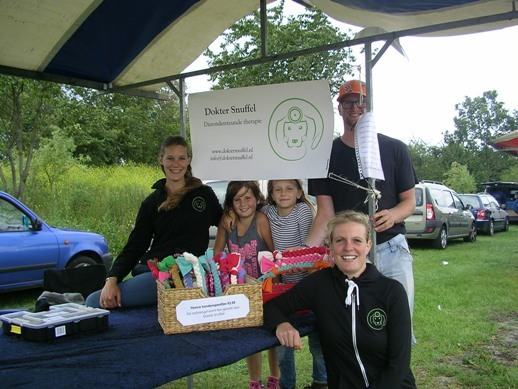 This year also present Mandy van Laar (dog-counselor) and Lieneke Gijsbertsen (physiotherapist) who had given demonstrations therapie for children with dogs....very interesting! 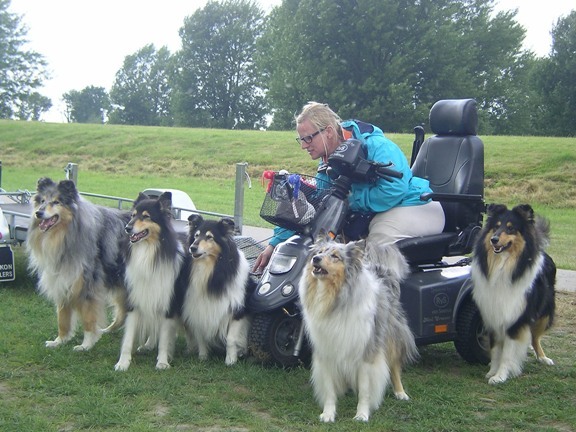 As well present Elvera Avenhuis-Jansen for giving demonstrations para-agility. In spite of the bad weather an succesfull day. 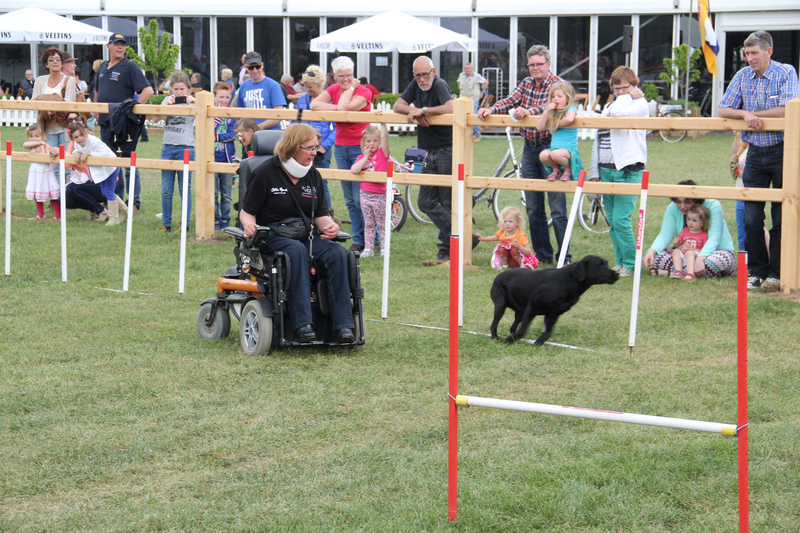 On the way to Aalten for giving demonstrations para-agility and servicedogs on the 19th Country Fair. 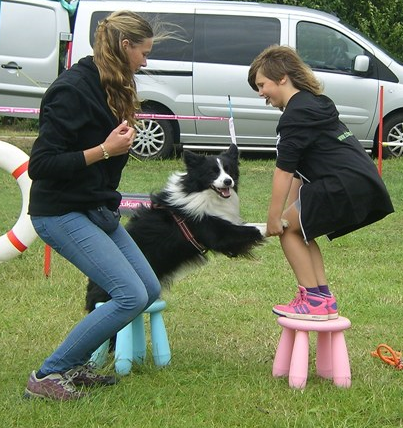 The ring " Dogs Village" became every year more extensive with new and nice different demonstrations about dogs-activities. 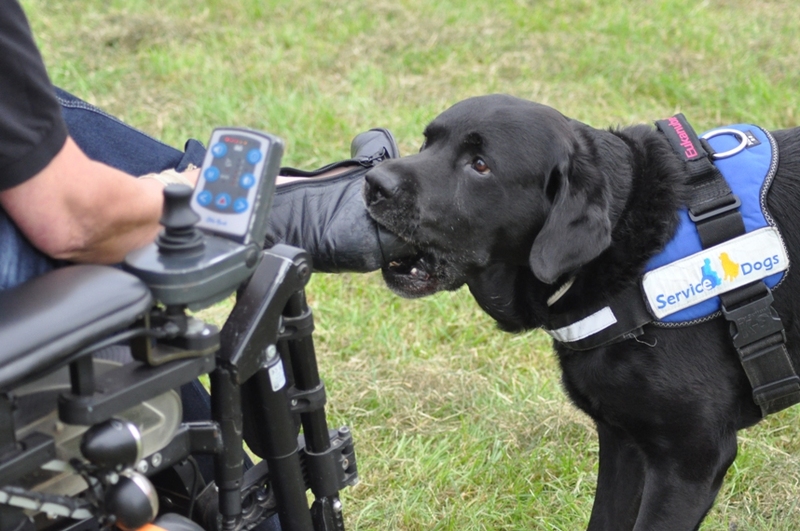 Some demonstraties had been given in the big "Central Ring" , we also with our demonstration servicedogs. Three days very nice weather and totall more then 30.000 visitors. Joy take off laundry out our demonstration-washer! 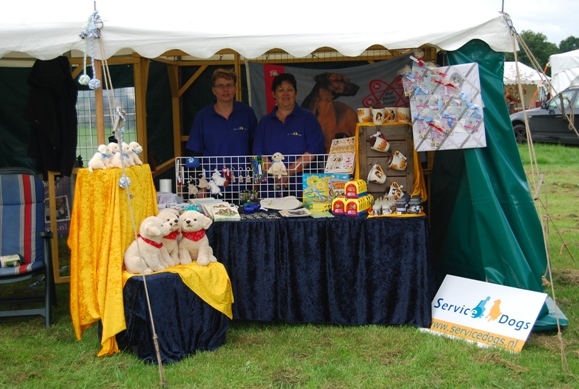 Stand van Hulphondenopleiding Servicedogs met Wilma en Ina! 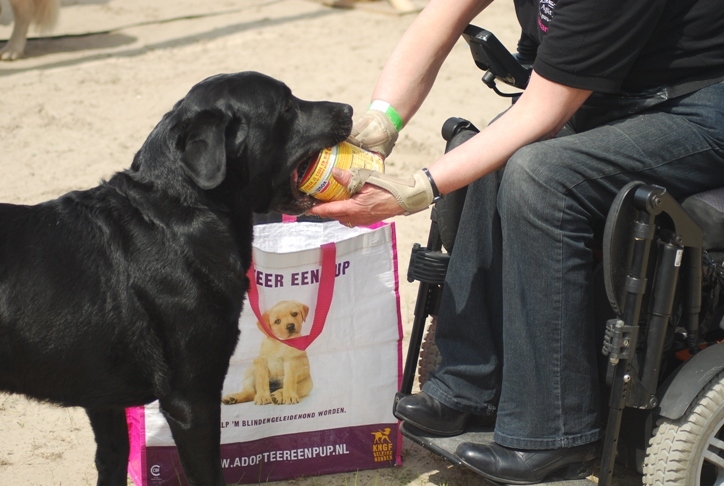 For 3 days to Beekse Bergen to give demonstrations para-agility and servicedogs on this biggest Animal Event of the Netherlands. 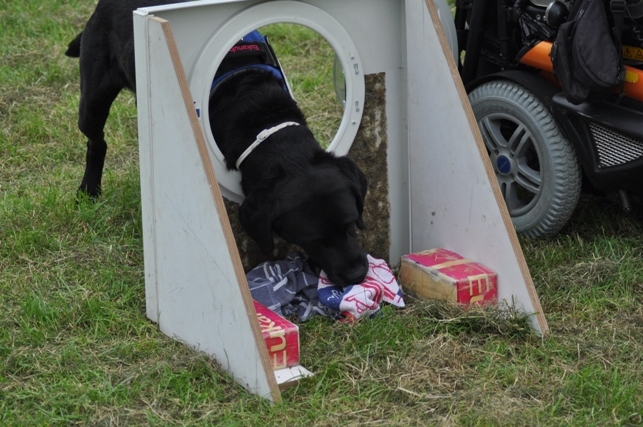 I was also one of the judges for the competition "Best Dog Trick 2014" very nice to do! 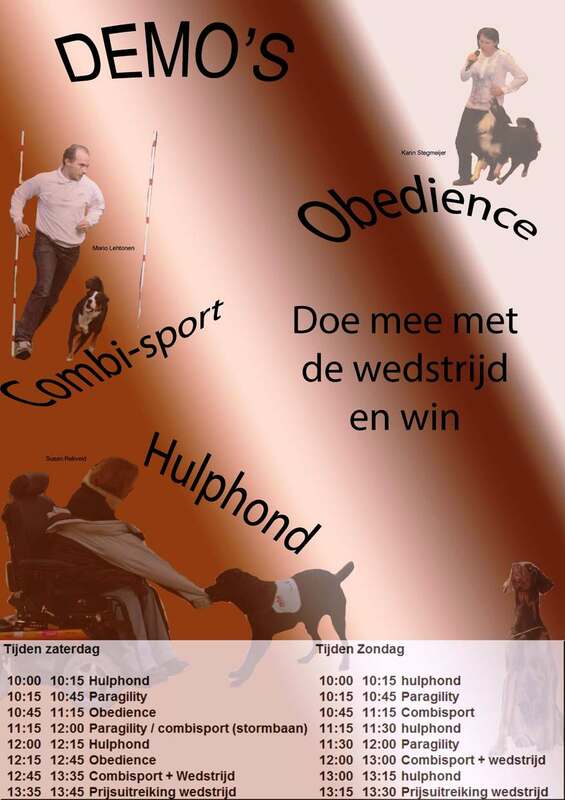 Demonstrations servicedogs and para-agility with Joep and Joy on this 30th International Driving Competition for Horses in Horst aan de Maas. Together 260 horse-drivers from 14 countries with totall 700 horses, a big and lovely International event! These people also working with animals and enjoyed our demonstrations, a lot of reactions enthousiast. We were invited on the 20th International CAC en CACIB Dog-show in the Hal "Plantarium" in Hazerswoude. Every year again a very nice group of staff to work with, a very pleasant weekend! We had rent another car and so it was possible to give demonstration on sunday together Karin Stegmeijer and Mario Lehtonen. 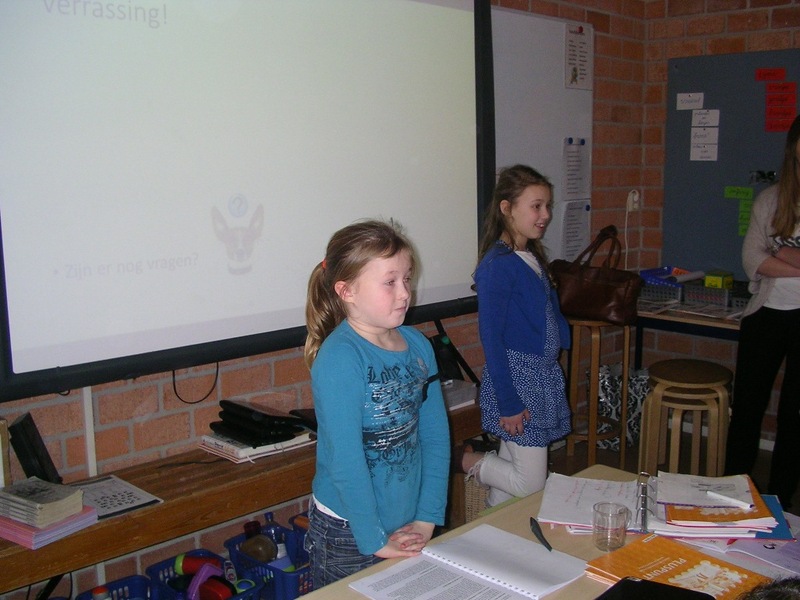 On 17-02 Anne an Nienke came to me for an intervieuw about servicedogs and later on 27-02 they had given a speech on school. They did very good!! I was coming to show with Joy how a servicedog can work. A nice mark "very good" get Anne and Nienke....and rightly! !